When I saw Lara Croft and the Guardian of Light at E3, the guys from Eidos made one thing clear – this title began as something of a side project for the Tomb Raider team but also taught them some lessons that they’d be taking back to the series proper. After my time with Lara Croft and the Guardian of Light, I can definitely agree – this spin-off can definitely carry some lessons for the wider series as a whole. While the storyline and setup is classic Tomb Raider stuff – Lara’s doing what her original game was titled after – raiding an ancient tomb for some ancient, magical artefact, and there’s other rival treasure hunters, and a plethora of monsters and other traditional Tomb Raider baddies waiting to be beat down between puzzle solving and platforming action. 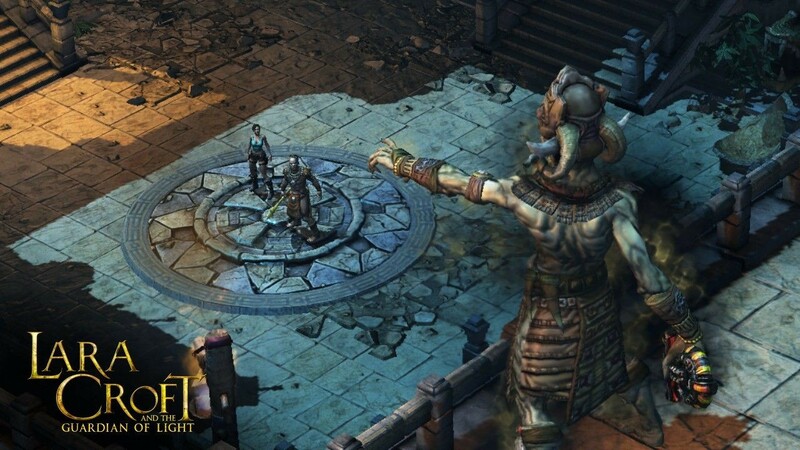 Where the game does deviate is in its perspective – it takes place from a fixed isometric perspective that is most likely to draw instant comparisons to a title like Diablo. A lot of that is down to the perspective more than the gameplay, though, as the game is mostly focused on the combat, which feels a little like a dual-joystick shooter. The combat is fast paced and simplistic, and that fits the overall style of this downloadable title. While there’s plenty to do here, the story rattles along at a very rapid pace and every combat encounter and puzzle is over fairly quickly – designed, it seems, to be approachable as a game that has depth but can be played in bite-sized chunks – a wise choice for a downloadable ‘arcade’ title. 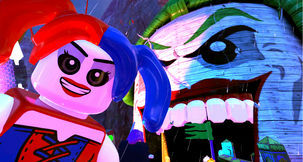 As well as blowing enemies away there’s a selection of puzzles, but what is interesting about these is how the face of the game – and all these puzzles – changes when they’re played cooperatively, showing that, again, the game is clearly geared towards single-player. If you’ve got a second player available, they’ll take control of Totec, who is the Guardian of Light mentioned in the title. While in Co-Op mode Lara and Totec play significantly differently. Lara plays out much as you’d expect, with explosives, guns, and many other items she’s had access to in previous games, while Totec has access to a few abilities that Lara doesn’t, stemming from his indigenous nature. In co-op, those abilities have to be used in tandem to get past obstacles and fight enemies that would otherwise be impossible alone. The classic example is the steep cliff face; where Totec can lodge one of his throwing spears in the wall for Lara to jump on to get above. 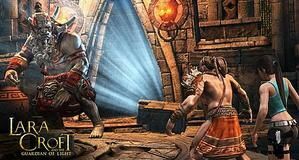 Totec is too heavy for the spear to take his weight, but then Lara can use one of her abilities – the grappling hook – to drag Totec up to the top of the ledge so the pair can continue together. 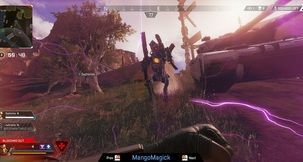 Sometimes developers throw in co-op modes that are lazy, simple and essentially drop an extra player into the experience, but here the team at Eidos have produced something truly impressive and most important cooperative at its very core, making this game a bit of a must to play in that co-op mode. 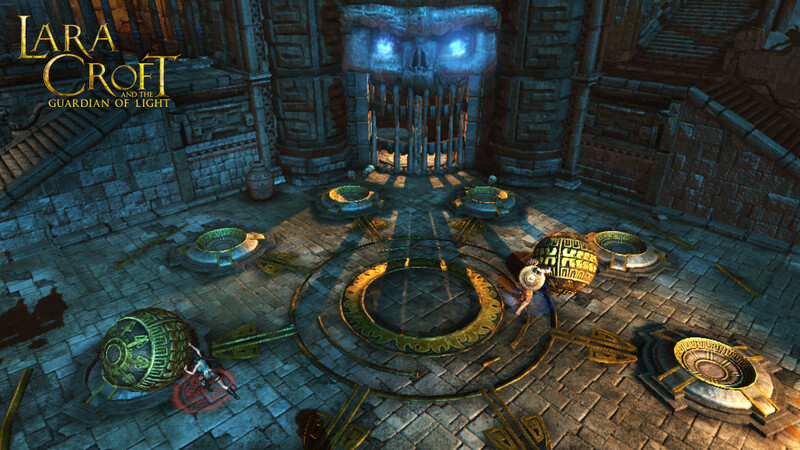 Playing single player changes some design elements and grants Lara enough abilities to get through alone – for example, she can throw spears in single player – but Totec is still present in the story, and serves as a constant reminder of how you should be playing this game – with another. 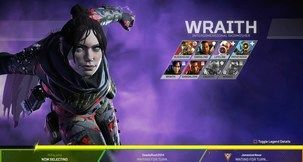 Sadly, at launch the game only supports local co-op, but a patch is incoming which will unlock an online version, and if you don’t have a buddy to play with you might want to hold off on the purchase until then, as that is definitely the way you want to experience this game. That said, it’s worth saying that I don’t make that as an unconditional recommendation – Lara Croft and the Guardian of Light is so fun that it’s definitely worth playing through solo, and I actually did it twice – with and without a friend. 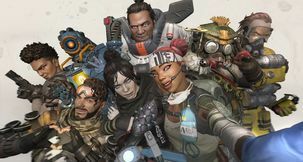 The experience is compromised, but is still thoroughly enjoyable on your own – if anything, the cooperative play takes this ‘good’ game and makes it ‘great’ – it’s not bad alone. The storyline should take around five to seven hours to get through, depending on your speed, but past that Guardian of Light offers up a bunch of reasons to go back and hit up those old levels again. Every level has an absolute ton of objectives, and the game has a score system built in that means how you complete levels, how you fight and how fast you accomplish things will affect your score. Going through these option segments unlocks more and more stuff, from weapon upgrades to whole extra areas, and so replaying older levels with newer unlocks is something of a must if you suffer from even mild completionism – and that alone sends the replay value of this arcade title skyrocketing to levels way beyond what I feel is already a very reasonable price point for this very complete package. Lara Croft hasn’t exactly had it easy, and the Tomb Raider franchise doesn’t hold the stead it once did back at the turn of the millennium, but The Guardian of Light might be exactly what the series needed to give it a kick-start. It’s fresh, new and different, and it changes the formula to something completely new – and yet despite that it still feels thoroughly like a Tomb Raider title – even if that isn’t in the title. I for one hope that Crystal Dynamics, Eidos and Square Enix take the lessons learned from this title and apply them to the next disc-based Tomb Raider title, but while we wait for that this is a game well worth experiencing. Realizing how cool some of the co-op puzzles were. Cooperative play done right!